Running a start-up is like chewing glass and staring into the abyss. After a while, you stop staring, but the glass chewing never ends. Starting, running and growing a business is hard. Probably one of the hardest things you'll ever do. Back in the day, when we started working on Fusioo (easy team database software), we knew it would take over a big part of our lives. Just like most startups we've met along the way, we did make our fair share of mistakes. But unlike some of them, we always tried to fail as inexpensively as possible. We also learned a lot of lessons. Some directly, others, indirectly. In this blog post I try to put together lessons we've learned, including wisdom shared by some of the smartest people you could find in the startup world. Note: This is a huge guide with 20+ different mistakes and related advice/resources. To make navigation easier, you can click on the icon near each title to quickly jump from one section to another. Hiring your first sales rep is usually a hit or a miss. According to startup veteran Jason Lemkin, hiring two sales reps, instead of one, can help you de-risk the whole process. If your first rep does poorly, you’ll have no idea why. The rep will blame you, your crappy product, your crappy company, your crappy lack of marketing. Which may all be correct. But if the rep is a bad fit, that may be the real reason. You just won’t know. If your first rep does well (our experience), you’ll still have no idea why. Does the product sell itself? Is it the rep’s suave phone skills? Is your deal size, and are your customers, representative of the ones you’ll really get in the future? Or is this rep only good at a a certain type of customer — and are you leaving other potential customers behind? You just … won’t know. Jason M. Lemkin, Founder at SaaStr. Sometimes you have to go with your gut. But, always consider the facts. With so many analytical tools available at your disposal, you need to make sure that your decisions are backed up by hard data. Just be wary of striking the right balance. Overthinking about certain data driven decisions can eventually lead to analysis paralysis. Who buys your product or service? What problems are you helping them solve? Where do your ideal clients hang out? Your ideal client should never be "everyone". You’ve got to know who those first users are and sit with them, spend time with them, focus on them — have a party with them. Your first goal is focusing on those first 50, 100, or 500 users, and make them really, really happy. If you can do that, you’re on your way, and you can go from there. Paul Graham, Co-Founder at Y Combinator. Assuming your product or service will "go viral"
How are you going to get traffic to your website? What's your go-to market strategy? Most early stage startup founders assume that they can actively grow their revenue by going viral. I've spoken to founders that genuinely believe that the best go-to market strategy is to launch your product or service out there and letting the magic happen. Truth is, it doesn't really work that way. Virality is almost always an end result. It's usually a bi-product of great marketing, timing and deliberate product or service design decisions. Viral marketing is a tempting delusion as it can help you avoid the difficult task of acquiring customers. What’s striking about that to me is how surprised they were — because a lot of business owners similarly operate under the fantasy that they won’t have to constantly acquire new customers to keep the wheels turning. Unless you’re a solo consultant with a massive 10-year contract with a single client, new customer acquisition is marketing. It always will be, no matter how much you’ve already grown. Laura Roeder, Founder at MeetEdgar. When you're just starting out, hiring the big guns might be problematic. When we were just starting out, we looked at hiring people we would happily buy our product from. Do not hire someone because of their “experience in sales,” per se. Experience is good, but 95% of that experience will not be on point. Also, when you're in the very early days, you should be selling your product or service yourself. This will help you learn more about your customers. It helps you understand what they need and how important it is for their business. It's true. 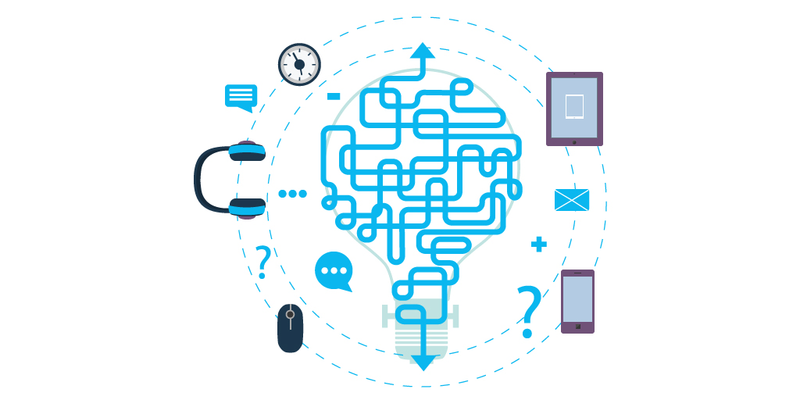 Consumers are getting smarter and do know how to find products or services without your help. However, you still need to put your product or service in front of potential customers. You still need to understand which channels your customers are using to find similar products or services. Marketing is all about making your product or service available across those distribution channels. Do we need to track monthly revenue? Or customer churn? Do we need to track client retention? Or the cost of customer acquisition? Yet, over-analyzing data can impair your decision taking process and lead to what is commonly known as analysis paralysis. And yes, it is one of the biggest startup killers. Don't sweat the small stuff. You don't need to track any possible outcome. Marketing is not a one-time campaign. It does not have a start date and an end date. In fact, everyone on your team should be involved in your marketing strategy. From your customer success agents to your software engineers and product managers. It's easy to see how little launches matter. Think of some successful startups. How many of their launches do you remember? All you need from a launch is some initial core of users. How well you're doing a few months later will depend more on how happy you made those users than how many there were of them. One thing most startup founders wish they knew before getting started is that marketing takes time. This is why it is crucial to build an audience before launching your product or service. Gathering unbiased feedback from the right audience can help you build the right product or service. When you're ready to show the world your product or service, you already have a list of highly qualified leads. It takes a lot of time to build an audience and, consequently, a brand. Building a startup? Build an audience, first. Premature scaling is the art of doing things that add zero value to your startup before you actually get to product/market fit. They make up some plausible-sounding idea, raise money at a good valuation, rent a cool office, hire a bunch of people. From the outside that seems like what startups do. But the next step after renting a cool office and hiring a bunch of people is: gradually realize how completely fucked they are, because while imitating all the outward forms of a startup they have neglected the one thing that's actually essential: making something people want. Build Product > Release Product > Growth Hacking = Success. Now I'm not saying that growth hacking is BS - and neither is Paul Graham; he specifically said "growth hacks". But it's a bit like big data. Or lean. Or any other buzzword for that matter. Growth hacking is just the intersection between a finely crafted marketing strategy, your offering and user psychology. It's not a hack, it's just an umbrella term used to combine different channels that are usually left in silos. Growth Hacking is the continual promise of silver bullets: red buttons increase signups 80%, headlines with font sizes of “33px” increase revenue 30%, cutting prices decreases churn 27%. But, growth doesn’t come from silver bullets, growth comes from winning a thousand tiny battles: 0.5% here, 1% there. Real growth needs a whole load of lead bullets. Real growth originates from the very first line of code, from a great product, and from the work of an entire team. Ben McRedmond, Senior Director of Growth at Intercom. Contrary to planning for unrealistic growth, you could equally kill your startup by not planning for growth at all. As long as you don't have any users, you won't have scalability issues. But when you experience significant growth, every small issue might turn into a scalability nightmare. How would you handle support at scale? Is your infrastructure reliable? Moving from your standalone office server to AWS or Azure might be harder than predicted. Yes, you should focus on doing things that don't scale; but always keep a sharp eye on the future. If the numbers don't add up, or the market is clearly showing you to think differently - move along. Don't be afraid to try something different. Fusioo started off as a completely different tool. With feedback from our clients, we started joining the dots. We started to understand what our users wanted, and delivered exactly what they needed. This is how we turned our first offering into our current offering: a collaborative online database that helps you work the way you want to. It all depends on the stage of your company. According to Auren Hoffman, fmr. CEO at LiveRamp, early stage companies should focus on all-rounders. On the other hand, companies in scaling mode should focus exclusively on hiring best-of-breed position players. One of the common mistakes start-ups make is to immediately bring position players on board. It’s a risky proposition. While hiring position players will significantly increase the chance of success for your current model, it gives you little room to pivot or change strategy. Any significant change in your business model might force you to swap out your team. Auren Hoffman, Fmr. CEO at LiveRamp. My favorite analogy for one founder vs two or more is that it's possible to raise a child as a single parent, but far more challenging and personally taxing to get the same outcome. Not only that, but in this case you're effectively competing against conventional teams that have more than one founder. Startups are risky enough -- why start with such a tremendous handicap? Drew Houston, Co-Founder at DropBox. Paul Graham reinforces Drew's analogy by stating that having a single founder might be an immediate red flag. What's wrong with having one founder? To start with, it's a vote of no confidence. It probably means the founder couldn't talk any of his friends into starting the company with him. That's pretty alarming, because his friends are the ones who know him best. Why Single Founder Discrimination is More Severe Than Gender or Racial Discrimination in the Start-Up World? Met your co-founder at a local startup weekend? Then yes, you're probably going to experience founder conflict at one point or another. Now there are obviously outliers. The ones who've made it. But from my experience it is vastly more common for founders to succeed if they knew each other before taking the plunge and starting their venture. Bringing on a co-founder is a process that shouldn't be taken lightly. Difference in expectations and understandings. Does your offering satisfy a burning need for a particular market? Or maybe a subset of that market? If it does, congratulations, you've achieved product/market fit. How do you know you've achieved product/market fit? Marc Andreessen, Co-Founder at Andreessen Horowitz. Have you ever made a move that eventually made you cringe? We initially chose to use MongoDB for specific sectors of our backend infrastructure. Turns out there were a lot more people who made our same mistake. So, how do you avoid choosing the wrong platform? You avoid it by hiring people with a strong technical background and letting them choose. Another way of avoiding such pitfalls is by actively researching for problems existing users face. Try Hacker News or Reddit; they are a goldmine for finding someone's experience with a particular platform. When building great products, less is usually more. Back in the day, when we where building Fusioo, I used to pitch my colleagues how important it is to keep things as simple as possible. Not simple stupid, but rather, simple smart. We're in an extremely exciting market. Helping business (non-techies) build their custom databases, so that they can efficiently scale their workspace, without requiring technical help. And one thing we learned earlier on is that, new features widen the knowledge gap. Our goal is to lessen that knowledge gap; the difference between the user's knowledge and the knowledge required to use your product or service. The Next Feature Fallacy: the fallacy that the next feature you add will suddenly make people want to use the entire product. Joshua Porter, Partner at Rocket Insights. Growing a startup is no mean feat. One of the biggest challenges startups in growth mode face is focus. Most of the startups we saw failing, failed exactly because they couldn't pick a single problem and solve it. Too quickly you’ll take on too many things. You’ll have differentiated into too many products, options, and services, in an effort to please anyone who shows even a hint of interest in your company. Ty Morse, CEO at SongWhale. "It's a very unique and innovative idea. We couldn't find any competitors." You don't know how to search for your competition. You're trying to target a very marginal, unprofitable niche. Most of the groups that apply to Y Combinator suffer from a common problem: choosing a small, obscure niche in the hope of avoiding competition. If you make anything good, you're going to have competitors, so you may as well face that. You can only avoid competition by avoiding good ideas. Your Startup Isn’t Growing. Is It From A Bad Product, Bad Marketing, Or A Bad Market? Why would your target clients choose your product or service over their offering? Look for your competitor's alternatives. Find questions on Quora, Reddit and Twitter. Use marketplace websites, such as Clutch.co. When we were just starting out, we used to bump into a lot of early stage startups. I used to ask how things were going for them. The usual response was, "we're still building our product - we'll be launching in the next couple of days". Yes, it takes time to build products - but if it takes more than a year or two, then you're most probably doing something wrong. I think it's the way our brains are wired. Launching is usually equated to fear. Fear of being judged. Fear of failing. Fear of having to deal with the outside world. And we actively seek to avoid failure. So, what's the problem with taking too much time to launch? The problem is that you might be building stuff that is immaterial to your value proposition. If you're not embarrassed by the first version of your product, you've launched too late. Reid Hoffman, Founder at LinkedIn. I know you've probably heard of the Minimum Viable Product (MVP) and how launching too late might kill your startup. Yet, in certain industries, launching a half baked, full-of-bugs product might actually do more harm than good. Why? Because you receive the wrong type of feedback. And, unfortunately, this usually leads founders to optimize on things that are immaterial to your overall goal. "We're working on something that would completely revolutionize the recruitment industry." Great. So What exactly are you building? "Can't really tell. We're in stealth mode." OK. Do you have an audience? How are you gathering feedback? "We're not gathering feedback. But we're pretty sure it will blow everyone's mind once we're live. We're just trying to avoid getting our idea stolen. Lots of competition out there; you can't really trust anyone these days." They think their idea is stupid. They don't know if it will work out or not. They just say they are in stealth mode because it decreases the fear of being judged. They think their idea has value. It doesn't. Your idea will dramatically change over time. They are seasoned entrepreneurs. They know what they're doing and will clearly get a competitive advantage by staying in stealth mode. Dharmesh Shah, Founder and CTO at Hubspot. Startups are all about growth. And if you want to grow your startup, you need to make sure that the odds are in your favor. Is your city the best possible city to grow your particular startup? It's an interesting question why cities become startup hubs, but the reason startups prosper in them is probably the same as it is for any industry: that's where the experts are. Standards are higher; people are more sympathetic to what you're doing; the kind of people you want to hire want to live there; supporting industries are there; the people you run into in chance meetings are in the same business. Where in the world are the best start-up cities? When you're just starting out, you might think that word about your startup will spread like wildfire. Everyone will love your offering. You have the best offering, you have 0 competitors and you have the best team on planet Earth. How do I put it in simple terms... hockey stick growth. The problem with the hockey stick is also twofold. First, no savvy investor ever believes those projections, with few taking the time to dig in to understand and work through a more realistic outcome. Second, most entrepreneurs have no idea how fast startups are expected to grow, but know they need to include a hockey stick, and the result of that is more often than not, a crazy, unjustified, unrealistic series of revenues. Luni Libes, Author at Lunarmobiscuit. A Realistic View Of The Startup "Hockey Stick"
"Our customers don't know what they want." One sure-fire way of failing fast is to stop listening to your customers. Or, listening too much to your customers. Like everything in life, you need to strike the right balance. I still fail to comprehend how some startups outsource their customer support at the very early stages. "This way we can focus exclusively on building and marketing our product". Yes, but this is exactly why you need to listen to your customers. This way you'll know exactly what you need to build. You'll understand what is immaterial and absolutely critical to your customers. You'll learn the exact words you need to use when crafting your marketing and onboarding strategy. Eventually, you'll end up turning some of your most disgruntled users into product evangelists. "Can I speak to a human being?" This is what I'm thinking whenever I get inundated by automated messages from support departments. Having a great, responsive support team that treats humans as, well, humans, really does pay dividends. You cannot "hack" customer support. Provide personalized attention to your early adopters. Go the extra mile. Get to know your customers on a human level. Set up solid support guidelines. List common objections and clearly state how they need to be handled. "Yes, sure. We're going to release that feature next week." Have you ever had someone lie to you in customer support? Customers rightfully equate customer support lies and failures to your brand. Customer support is an ongoing process. Email them, let them know that you care about their business. And they will let you know about it. To put it mildly, customer service is not a job for everyone. The ideal customer service person derives great satisfaction by helping people and solving problems. Guy Kawasaki, Ex Chief Evangelist at Apple. Something I never believed would happen. Some of our best, long-term customers were some of our harshest critics. Some didn't like certain UX decisions we took. Others didn't like certain feature roll-outs we made. But they all had one thing in common, they all cared about our product. I know. Spending a lot of time building something can sometimes make feedback feel, kind of, personal. However, feedback is a tool that, when used wisely, can turn into a great competitive advantage. By listening to your customers and executing on that feedback, you can turn disgruntled customers into product evangelists. Just make sure you always maintain a positive interaction. And always be empathetic towards their situation. Made business mistakes that you're happy sharing with our readers? I'm happy adding new mistakes to this list - just write them down in the comments below. I reply to all comments as they come in. 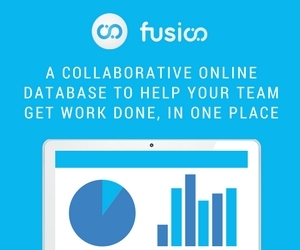 André Gauci heads growth at Fusioo - a collaborative online database that helps your team get work done, in one place. 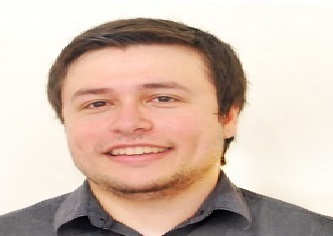 You will usually find him speaking about sales, marketing, startups and project management.